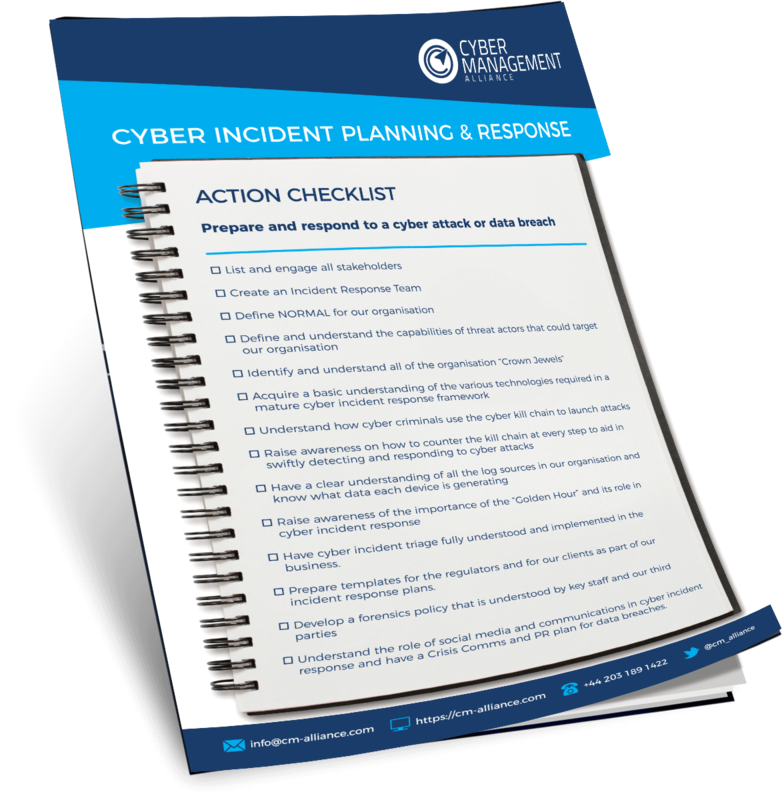 Our Data Breach or Cyber Incident Action checklist will help you prepare and plan a defined response to a cyber attack or data breach. ** GDPR ** We wholeheartedly believe your and our rights to privacy and in the GDPR. The bottom of the page explains how we use your data. Align with the upcoming GDPR requirements. Reduce your time to detect and respond. Taken from the GCHQ-Certified Cyber Incident Planning and Response course. Complete the Form below to receive a copy of the CIPR checklist. Update you when we host our ground-breaking Wisdom of Crowds events in your country or region. Ping you a note about upcoming FREE educational webinars on GDPR and Cybersecurity. Inform you of any upcoming Data Breach Response or Cyber Incident Response training. Using the information from this page we will NOT sell or market to you any of our consultancy or trusted advisory services. In its purest interpretation, this act of us communicating with you is direct marketing and is processed on the basis of our legitimate interest and your engaging in our services. All marketing communication will include an unsubscribe button or other method of ending communication.